Lineups would be set up to go LH-RH-LH, or some such, just to force the other team's relievers to be either one and done, or lose a perceived matchup advantage. The 3 batter required neuters that little battle of wits. As you say on the "draft advantages", WTH? How are the struggling clubs supposed to get better? I don't like the idea of lowering the mound. Every pitcher in the majors and minors has been taught to pitch from the currently specified mound. This will make the first season or two after the change less a measure of how good a pitcher and more a measure of how rapidly he can retrain himself and alter his delivery to adjust to a rule change. It also risks pitcher injuries. It also seems to be a solution in search of a problem and will undoubtedly lead to longer games. The mound is already lower than it was, when I started following baseball. Are we going to transition from pitchers who get velocity from their lower bodies as they push off the rubber and stride off the mound to guys who get velocity just from their arm and upper body? The latter guys tend to fall victim to arm woes, as the human arm isn't built for that. I like the pitch-to-three batters rule and the universal DH. I really don't think teams need to expand rosters to 26. One less pitcher means one more position player and the DH means some pitchers will stay in games longer. I like the Universal DH, but wish it would have been implemented before Santana was traded. Hoskins at 1B and Santana as a DH would have looked pretty good. Frankly, I hate the DH and don't think it should come to the NL. But if it does, I really don't think it should be implemented for several years so that teams can adequately plan. A salary floor sounds good. And I also agree with what everyone else has said about the draft. 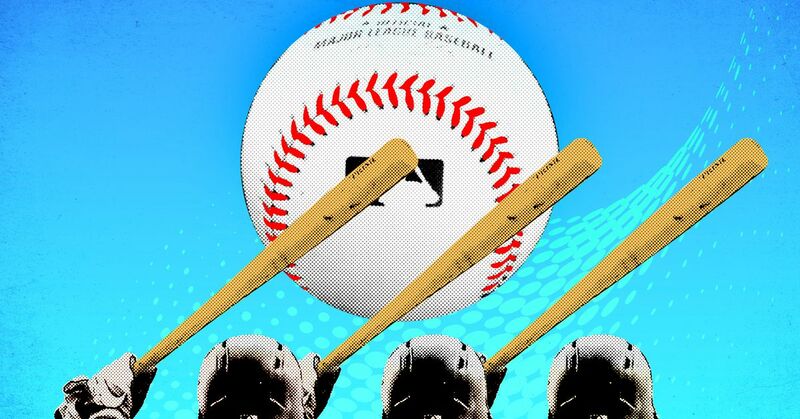 Sounds like MLB isn't interested in the DH unless and until they can use it as a cudgel in the next CBA. Their argument, while valid, is that it would upset team's roster construction to do so at this late date. But if they unilaterally impose the three-pitcher minimum what are teams going to do with their "openers" and LOOGYs? Yeah, they are fungible, but it's still a pretty big wrinkle to impose in the middle of ST. I hate the DH too but I think it has to happen at this point. Having two leagues and two rules just doesn't make any sense for the game as it is currently structured. I am surprised there has not been as much talk about the 12-pitcher limit with a 26 man roster. With 25 men now most teams carry 12 to 13 pitchers already. Usually 13 if the Phillies are an example. A 12-man pitching staff would have a 6-man bench which we have not seen in a decade. I could buy a 13 pitcher limit, but 12 just seems to invite injury or DL shenanigans. I would also want the 40-man roster increased one spot for every ML roster increase (i.e. to 41). Teams DO need flexibility to both protect prospects on the 40-man roster and have enough 4A types that can move up and down. If they go to a 26 man roster, it would seem logical (to me) to limit it to 13 pitchers if they decide to put a limit on pitchers. That still would give the Phillies a five man bench if they go for 13 pitchers, one more than most of the past season. Of course, teams could go with 12 pitchers if they wanted to and then have a six man bench. I was just bringing it up because the 12 pitcher limit was explicitly floated. I think teams would have a problem with that. I disagree. With a minimum 3 batter requirement and the DH, I think a 12 man pitching staff is easy to manage and that if you go to 13, the last guy in the pen is going to grow cobwebs. I don't think the 3-batter rule will change things that much. Remember it is 3 batters or the end of the inning. There will still be situational changes. Just not quite as many. I think it will change like 5% of appearances. The bigger change IMO is that things like the opener and the 3-4 inning starter (or tandem starter) are here to stay. If we have fewer innings from starters, we will need more 1-2 inning outings from relievers. I don't want more pitchers, but we are already at 13. I can't see teams going backwards. It is the volume of relief innings we have to deal with and the pace of the game is only affected by mid-inning switches (which the 3-batter rule will partially address). Not necessarily. I can easily see a team carrying 6 starters, with two young starters sharing a rotation slot in order to limit IP. It will be harder to use the opener if there's a three-batter minimum. Managers will presumably toggle their 1-4 hitters aggressively (alternating L/R or moving up their SHs). It would be fun to see someone break down the numbers on this. How many 1, 2 and 3-batter appearances by relievers were there last season? We know pitching changes are up but how frequent are actual one-out appearances (and how often did they go in tandem with a two-out guy who didn't pitch another inning)? How many batters did Tampa's openers generally face? (At the time of this article they had 50 starts by eight different pitchers for just 93 innings total). I do agree that it's unlikey the rule will actually lead to fewer relievers and that many fewer pitching changes, because middle relievers will still fails to get outs. Like, say you've got Adam Morgan in to face 3 batters, two of whom are lefties. He gives up a hit to the righty and walks the second lefty. He's out of the game and there's still only one out. The next guy comes in and gets two outs, but he maybe doesn't start the next inning. If the rule makes a manager stick with his starter too long that probably won't be fun either. I don't think the opener will be affected at all by the 3-batter minimum. Teams can set their lineup already to the opener and I bet in practice the opener has rarely (if ever) been pulled before 3 batters. It is probably used against teams that have 2 out of 3 LH hitters in their top 3 that are not going to pull those hitters or rearrange them in the first inning. Teams already strive for lots of L/R back and forth in the lineup anyway. To me the opener is not really situational. It is more about putting a good reliever up against the top of the order to minimize their impact while also switching up the hand of the second pitcher. If the Phillies do not get Harper then a right-handed opener is going to make sense against us because we will have guys like Segura, Hoskins, and maybe McCutchen or Machado at the top of the lineup often. How many 1, 2 and 3-batter appearances by relievers were there last season? 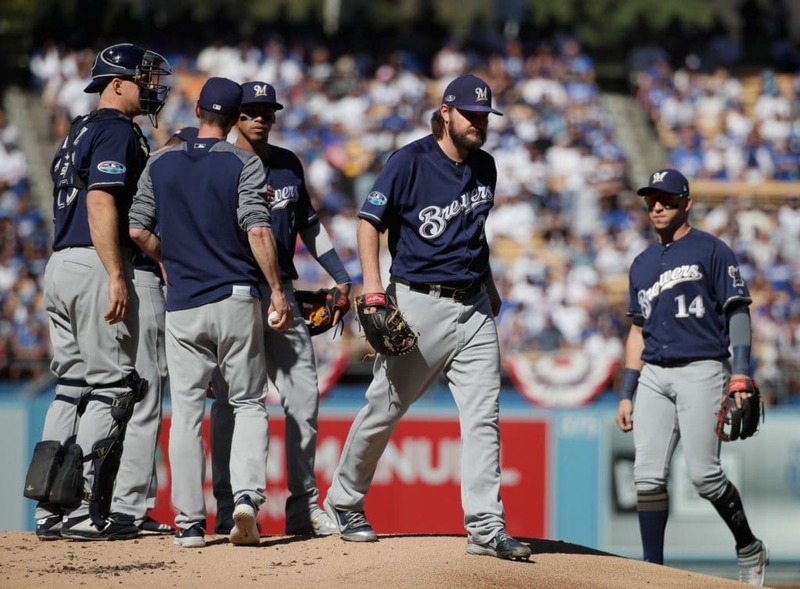 "The overall percentage of relief appearances lasting less than three batters began to rise when Hall of Fame manager Tony La Russa helped launch specialized bullpens in the late 1980s. But it mostly has held steady in the three decades since, ranging from 15.5 to 15.1 to 15.7 percent, including 14.1 percent last season." It is interesting that the percent was down a bit last season. I think it is the 1-inning outings that are starting earlier, in the 5th or 6th inning and not the situational substitutions. Teams are trying to change the pitching hand versus the starter rather than increase the number of 1-batter outings. With so few starter outings teams really cannot afford to pitch much less than 1 inning. I looked up Morgan's log and he had 25 appearances of less than 3 batters. 15 of them ended the inning however. Neshek had 4 short outings but 3 ended an inning. Would Ohtani have counted as one of the 12 pitchers last year? I reckon if he started the game as a DH or in the field he could not pitch. But if they stipulated him as one of the 12 pitchers he could still PH or enter the game, like any pitcher. You can't make a rule that's just for one (or very few players) so I reckon if you're lucky enough to have a pitcher with other talent that's a bonus/loophole. He also found the 10 pitchers with at least 30 appearances who averaged 3 batters or fewer. I mean, he's only wrong in that the revenues are poorly distributed based on a longstanding system of depressing the value of young players and overvaluing high service time players and past performance. The question is will the union be aggressive about righting that balance. The owners can afford to give more rookies $2 million if they never sign another Jason Heyward or Albert Pujols FA contract again. The players also don't really want a cap - neither do a lot of owners of course. But if you had one that also had a floor, and took away tanking motives, revenues would be distributed more equally across 30 teams and their rosters, up to a point. I wonder if Clark will make it to the labor dispute.